YOUNG LIVING FOUNDATION Love 愛 for students from Japan Young Living Japan Inc.
Love 愛 for students from Japan Young Living Japan Inc. The D. Gary Young, Young Living Foundation&apos;s flagship project, the Young Living Academy, began in 2009 and is home to our Sponsor a Child program. When we began in 2009, there were 83 students. Today, the Academy serves 350 children in grades pre-K through 12. As part of the agricultural education, students experience the Seed to Seal® process firsthand at the Young Living Ecuador farm. Most children in Ecuador drop out of school by the eighth grade, and only 20 percent of local students graduate. The Academy has a 97 percent attendance rate, and 100 percent of our seniors have graduated each year! Beyond that, those graduating seniors are going on to college to pursue dreams of becoming doctors, engineers, and lawyers and working in fields such as business administration, medicine, and tourism. 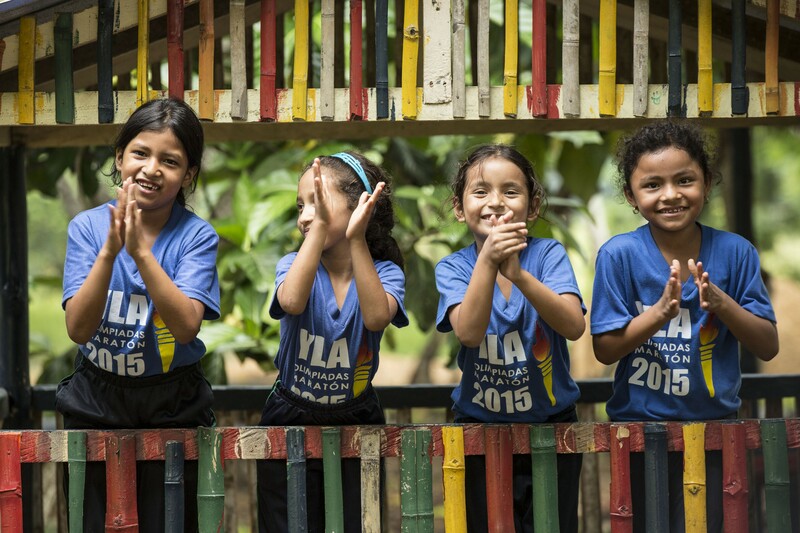 We believe that all children deserve a quality education, and with the help of our donors, we&apos;re providing just that for hundreds of children in Ecuador. Get involved today and help us do more.